If you spent the past weekend engulfed in either one of the Fyre Festival documentaries available on streaming platforms Netflix and Hulu, then the question 'Where is Billy McFarland now?' may already have crossed your mind. The rivaling documentaries both recount how Billy McFarland and his partners mounted what was to be a luxury music festival on Pablo Escobar's private island in the Bahamas, but due to poor planning and a lack of budget, failed to deliver what was promised. This caused outrage among the attendees who paid a premium for tickets, lodging, transportation, and more, as well as investors and suppliers. It was one of the most talked-about flops of 2017. McFarland and his business partner Ja Rule ended up being sued for $100 million in a class action lawsuit. Six federal and four individual lawsuits were also filed against McFarland. 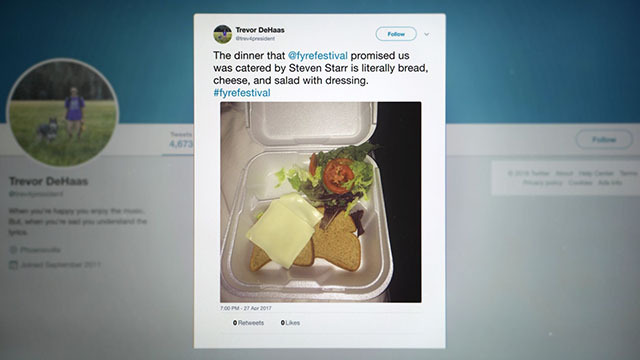 We've learned from the last 15 minutes of Fyre: The Greatest Party That Never Happened that McFarland was arrested on June 30, 2017 for the Fyre Festival fraud. On July 1, he was released after posting a $300,000 bail. At the time, he faced up to four years and nine months of prison time. While still on bail, he continued to scam the unknowing clients he had gained through Fyre Festival with a new scheme called New York City VIP Access. He used his friend Frank Tribble's identity to be the face of his new ploy, which claimed to deal-we later learn are non-existent-early passes to events like the MET Gala, Victoria's Secret Fashion Show, Burning Man, Coachella, and more. McFarland was eventually linked to NYC VIP Access. On June 12, 2018, McFarland was re-arrested for fraud, money laundering, identity theft, and two counts of witness intimidation. During the trial, the prosecution alleged that he made over $100,000 through the ticket-selling service. He was sentenced to six years in prison on October 11, 2018. He is currently incarcerated at the Federal Correctional Institution, Otisville. But that's not where the story ends for McFarland. McFarland's trial could have made for another documentary altogether. The 27-year-old pleaded guilty to both the scams. He said in his statement, "I can't believe how stupid I was. I betrayed the trust of my investors, customers, family, and the court. My mistakes were severe and they hurt a lot of people." Prosecutors initially wanted him to be imprisoned for 15 to 20 years. His lawyer, Randall Jackson, pinned McFarland's action on manic behavior with claims that he suffered from "an undiagnosed mental disorder and possible delusions of grandeur," according to Bloomberg. Presiding U.S. district judge Naomi Reice Buchwald did not buy the claims, saying, "The portrait simply doesn't fit the facts." "I am incredibly sorry for my collective actions and will right the wrongs I have delivered to my family, friends, partners, associates, and you, the general public. I've always sought-and dreamed-to accomplish incredible things by pushing the envelope to delivery for a common good but I made many wrong and immature decisions along the way and I caused agony. As a result, I've lived every day in prison in pain, and I will continue to do so until I am able to make up for some of this harm through work and actions that society finds respectable." After the release of the two documentaries, news came to light that McFarland received an undisclosed amount of money for the interview he granted Hulu while he was in prison. Netflix Fyre director Chris Smith said in an interview with The Ringer: "He told us they [Hulu] were offering $250,000 for an interview. He asked if we would pay him $125,000. And after spending time with so many people who had such a negative impact on their lives from their experience on Fyre, it felt particularly wrong to us for him to be benefitting. It was a difficult decision but we had to walk away for that reason. So then he came back and asked if we could do it for $100,000 in cash. And we still said this wasn't something that was going to work for us." Fyre Fraud director Jenner Furst did not deny paying McFarland but clarifies that he was not given $250,000 for the interview, saying, "I don't know why Chris [Smith] is quoting him that way. We both made a film about the same person. We know the person is a compulsive liar." After he is released from prison, McFarland won't be completely off the hook yet. He will have a supervised release for three years and will have to forfeit $26,191,306.28. Last July, two Fyre attendees were given $5 million each in damages after filing a suit against McFarland. As for his current net worth? Celebrity Net Worth estimates his value to be around $-5 million. 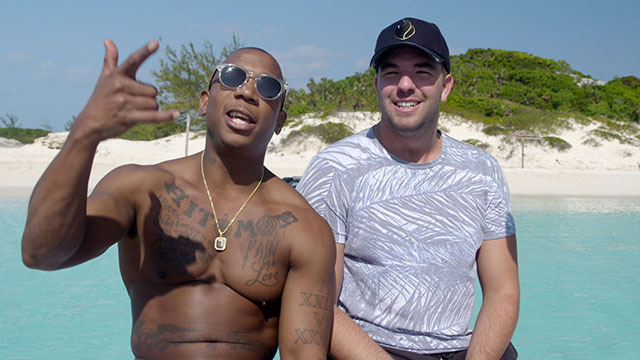 Watch Fyre: The Greatest Party That Never Happened on Netflix here and Fyre Fraud on Hulu here.